Malaysia Flight 370 has been missing for 41 days. 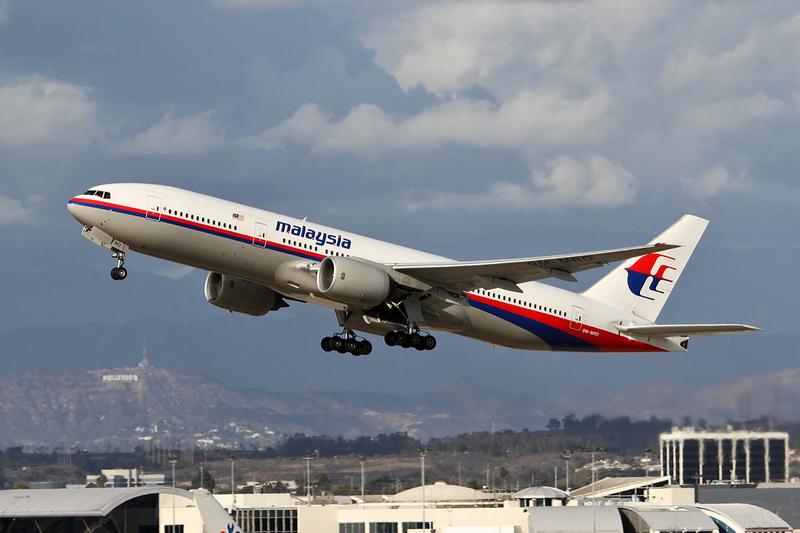 Best deductions from all data indicates that Flight 370’s Boeing 777 aircraft is at the bottom of the Indian Ocean about 1,200 nautical miles west of Perth, Down Under. It’s black-box is dead—no longer transmitting locating pings. Experts in the field speculate that it may years or perhaps never that they’ll find this aircraft. Missing Malaysia Flight 370 is not unique. Over the years there have been a number of well-publicized missing flight that have not been found. Let’s review six. On 8 May 1927, Charles Jules Nungesser, a French World War One flying Ace and his wartime comrade François Coli, took off from Paris in their PL-8 biplane, the’Oiseau Blanc (The White Bird), in an attempt to fly non-stop to New York. Several people in Ireland spotted them flying overhead. They disappeared without a trace. 2. On 1 July 1937, Aviatrix Amelia Earhart and her navigator, Fred Noonan, in her Lockheed Electra model 10E, departed Lae, New Guinea, headed for Howland Island, some 2,300 miles to the east. This was to be the next to the last leg of her around the world flight across the equator. Her goal was to land at Oakland, California on 4 July amid a gigantic celebration engineered by her husband, George Putnam. She tried to communicate with her short-range radio with her guide ship, the Coast Guard Cutter, USGS Itasca, stationed offshore Howland. Unfortunately, radiomen on Itasca could not communicate effectively with her because she was unskilled in the radio procedures required. Speculation is that she crashed into the Pacific some 200/300 nautical miles northwest of Howland. No trace of her, Newman, or the Electra has been found. Nonetheless, to this day, searchers are looking for a positive evidence of her remains and for the parts of the Electra—members of the TIGHAR organization have centered their search on Gardner Island, now Nikumaroro in the in the Republic of Kiribati—about 400 nautical miles southeast of Howland. At 0608 hours, on 29 July 1938, Pan American World Airways, Martin M-130 flying boat, the Hawaii Clipper. lifted off the placid waters of Apra Harbor, Guam, headed for Manila—about 1,400 nautical miles west. Onboard were six passenger and nine crewmembers. The aircraft’s radioman transmitted his position was at noon. The flight was routine: altitude is 9,100 feet, ground speed is 112 knots, scattered rain, and cumulus clouds with tops at 9,200 feet. Nothing else was heard from the flight. No trace of aircraft was ever found–no bodies, no wreckage, no oil slick, nothing. On 14 December 1944, the famous big-band leader Captain Glenn Miller, US Army and his pilot disappeared over the English Cannel. They were on a flight from Royal Air Force Base Twinwood Farm in Claphan to Paris in an Army Air Corps utility aircraft. Noorduyn UC64. 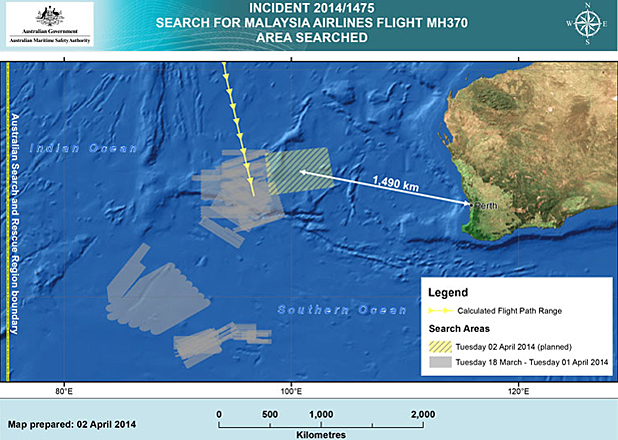 No trace of Miller, pilot or aircraft has ever been found. Miller’s status is “missing in action.” The army awarded him posthumously the Bronze Star. The “Lost Patrol.” On a bright, sunny day at 1410 hours, 5 December, 1945, five Grumman TBM Avenger torpedo bombers, with 14 crew members, lifted off from the Naval Air Station, Fort Lauderdale, Florida on a routine patrol off the Atlantic coast. About an hour later, the tower heard the flight leader say, “We seem to be off course.” Then they heard, “We cannot be sure where we are. Repeat: cannot see land.” Later. “We can’t find West. Everything is wrong. Everything looks strange.” Finally, the last transmission was, “We’re completely Lost.” This was the last transmission from Flight 19. The Operations Officer orders a Martin PBM Marnier flying boat to launch and search for the missing Flight 19. On board were 13 men. Ten minutes later the PBM radio checks with the tower. Neither the 5 TBMs or the PBM were ever heard from again. They disappeared in the Bermuda Triangle. On 5 March 1962, Flying Tiger Lines flight number 739, in a Lockheed Super Constellation, lifter off from Anderson Air Force Base, Guam en route to Clark Field, Philippines. 107 souls were onboard. No distress call was heard and no trace of the aircraft have been found. We’re now in the 40th day of the disappearance of Malaysia Flight 370. There were 228 passengers onboard—152 were Chinese citizens. Accordingly, the People’s Republic of China has an extraordinary interest in locating the missing aircraft—to maintain national prestige and to assuage the families of the missing. Daily, over 200 family members are pressing Malaysian and Chinese officials for information. There is none. The Chinese deployed over a dozen ships, several aircraft, and satellites in the multi-nation search. Unfortunately, the effort of the Chinese on station in the Indian Ocean have hindered the search efforts instead of helping or they have remained silent. For example, on Friday, 4 April (27 days after the dissapearaance), the Chinese Xinhua News Agency reported that the sailors on the Chinese patrol ship Haixum 01 heard electronic pings at 3.5 Kilohertz and at one-second intervals—the frequency that the Flight Data Recorded (“black box”) would transmit and the correct interval. Such electronic signals are similar to those of the black box transmissions but were not confirmed as such. Please note that it was the official new agency of the People’s Republic of China that made the announcement—not the ship on station. Nevertheless, the ships location in the south Indian Ocean was reported as a spot in the Indian Ocean is about 950 miles west of Perth, Down Under. Within a few days, the lead searcher discounted this Chinese claim as bogus. Senior searchers speculate that this false report by the Chinese probably was intended to project competence and regain lost prestige. Actually, investigating this false report distracted and delayed the search effort for several critical days while the batteries on the black box were fresh and transmitting strong signals. China’s rush to be first with search results by report bogus signals signifies incompetents or dissembling. Captain (ret) S. Martin Shelton has a lifetime fascination with Far East Studies. Malaysia Flight 370 New Information? Last Thursday (10 April), the US Navy’s TPL-25 (Towed Ping Locator) device, towed by the Royal Australian Navy ship Ocean Shield, detected two black-box type ping signals. That is the last signal reception made that has any credibility, however slight. For example, last Thursday a Royal Australian Air Force Orion P3 aircraft detected ping type signals from one of it dropped sonar buoys. However, Air Chief Marshall Angus Houston said that scientific analysis of the signals confirmed that they were not black-box type. Flight 370 has been missing since 8 March—thirty-five days ago. The battery powering the black box is either exhausted or nearly so. U S Navy Captain Mark Mathews, on- site coordinator of Navy equipment, said that if they do not receive any more credible ping signals within the next two days, they will abandon using acoustic search equipment. Then they’ll use the Navy’s Bluefin-21, an underwater towed autonomous vehicle that maps the ocean floor. It can map about twelve square nautical miles a day. Accordingly, it will take the Bluefin vehicle 1,333 days to map this area—all factors considered. On Saturday, Saturday 12 April, ten aircraft and fourteen ships are searching for the missing flight 370. Significantly, we’ve had no report from the Chinese ship Haixum 01 since 4 April. This is the 38th day of the search Malaysia Flight 370. Yesterday, eleven aircraft and “about” as many ships were searching in an area about 24,000 square-miles: In an area located about 1,400 miles northwest of Perth. (The search area seems to change almost daily.) Here’s the update: the searchers have not heard any pings from the Flight 370’s black box for six days. They’ve concluded that the black box’s battery is dead. Air Chief Marshall Angus Houston, head of the search effort, noted that acoustic searching is terminated, and that because they have no visual clues he’ll terminate visual search efforts in the next few days. Yesterday, sailors on the Australian ship Ocean Shield launched the US Navy’s Bluefin-21, an underwater towed autonomous vehicle that maps the ocean floor. It takes twenty-four hours to complete a Bluefin-21 mission: two hours to descend to the Ocean’s floor, sixteen hours to map, and two hours to ascend; then it takes four hours to download the information, and I cannot estimate how long it takes to interpret and plot the data. About six hours into its first mission, controllers maneuvered the Bluefin-21 to exceed its maximum safe depth, about 14.800-feet deep (2.8 miles), and they terminated the mission. (How about telling us why.) The Bluefin-21 was returned to the surface. As of this afternoon, there is no information regarding the next Bluefin-21 operation—if any. What’s next? I did find an article in which Houston noted that HMS Echo has equipment that can help map the seafloor and is in route to the search area, He did not give an estimated time of arrival or what is the operations plan. We’re now 32-days in the continuing odyssey of the misusing Malaysia Flight 370 with 239 souls onboard. Last Friday, 4 April, while searching the Indian Ocean about 900 nautical miles west of Perth, the Chinese patrol ship, Haixum 01, reportedlyheard electronic pings that resemble those that might be transmitted by the aircraft’s “black box.” The Chinese sailors heard such pings for twelve minutes and did not record them—it has been reported. On Sunday, 6 April, an Australian ship (name unknown) picked up similar pings. The first reception was held for two-hours and twenty-minutes. On the ship’s reverse course, the reception was held for thirteen minutes. Signal strength was not reported. The battery powering the black box is due to expire at any time soon—the weaker the battery, the weaker is the ping’s signal strength. Australian Air Chief Marshall Angus Houston cautions that they have not confirmed that the ping signals are being transmitted from Flight 370’s black box. Since Sunday, no searchers have received or recorded pings. Malaysia Flight 370: Have they found it? 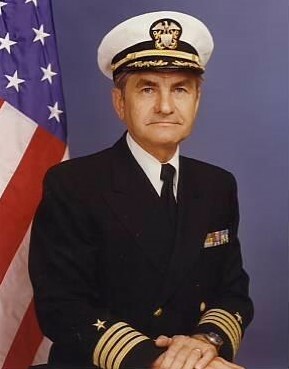 US Navy Captain (ret), S. Martin Shelton shares facts and thoughts on Malaysian Flight 370’s disappearance. Review: Malaysian Flight 370 departed Kala Lumpur at 41 minutes after midnight on 8 March 2014 bound for Beijing. The aircraft was a Boeing model 777-200 ER (Extended Range). Approximately 60 minutes later, electronic transmission from Flight 370 ceased. Several hours later Malaysian Airlines declared Flight 370 missing. Over this past month, aircraft and ships from thirteen countries searched the South China Sea, Gulf of Thailand and the southern Indian Ocean—acting on false clues and erroneous information. All search efforts were to no avail. It’s been a circus for a host of reasons. Malaysia does not have the technical capability to resolve this issue, and they was embarrassed to ask for help—causing serious delays in getting an organized search underway. Now the Australians are coordinating the search venture under the management of Air Chief Marshall Angus Houston. That spot in the Indian Ocean is about 950 miles west of Perth, Down Under. Caution: The pings, reportedly heard by the Chinese, are not confirmed as emitted from the “black box.” Could be something else? Sailors onboard the Haixum 01, it had been first reported (passive voice on purpose) heard the one-second interval pings for ten minutes. Later that number was revised to ninety-seconds. For unexplained reasons, the Chinese did not record these signals! Several factors are involved: 152 passengers on Flight 370 were Chinese citizens—close to seventy-percent. Accordingly, it’s to China’s favor to find the missing aircraft to “save face.” However, the Chinese government is not known for cooperation in this type of international endeavor, or to have much technical “know how.” For example, earlier in this drama the Chinese Xinhua News Agency reported that a Chinese satellite had photographed a wide area of debris in the water, (Resolution of the released photographs of this debris obviously had been distorted to disguise the satellite’s actual photographic resolution.) On fiscal inspection of this debris field, the stuff in the water was junk. Accordingly, we must be cautious about Chinese new releases. Can we trust them? Here’s one educated guess I make: if Flight 370 is at the bottom of the Indian Ocean, an American attack submarine with its advanced sensors will find this aircraft. Apparently, the FBI has completed their investigation of the plane captain’s hard drive from his computer simulator. They did not find a “smoking gun.” However, they did find that the captain practiced emergency landing-procedure on various airstrips. This training probably is of no conspiratorial significance. On the other hand, my interest is piqued as such information suggests another direction of inquiry, as it were. Twenty-three days ago, Malaysian Flight 370 disappeared. At first, aircraft and ships from several neighborhood countries and the United States searched for the Boeing 777 in the area northeast of Malaysia in the South China Sea—the proposed track for this flight—to no avail. Based on technical date, the searchers changed directions to the west and examined the Bay of Bengal—nothing found. Two weeks ago Chinese satellite imagery photographed a debris field (of unknown composition) in the south Indian Ocean about 1,800 miles southwest of Perth, Australia. Search assets from twenty-five countries reconnoiter this area. Zero results. Early last week French satellite imagery found a large debris field about 1,200 miles west of Perth that may/or maybe not be the remains of the Boeing 777. As of noon today there is nothing positive to report. Only when some debris is found, hauled aboard a ship, and researchers confirm that it is from Flight 370, can the solution of the mystery, begin. The next step in this imbroglio is to find the aircraft’s “black box” (actually, it’s an orange box). This black box is a battery-powered, waterproof, electronic device that records all radio communications, flight-crew intercommunications, and technical data: speed, course, altitude, and other flight details. After activation by a crash, it will “squawk” a locator signal for about thirty-days. To insure best chance for survival this black box is stored in the tail of the aircraft. All factors considered, it’s the tail section this is most likely to survive a crash. Now the search gets even more daunting. Let’s suppose that the debris is in fact from the Boeing 777, Malaysia Flight 370. Where is the aircraft? For an absolute certainly, it’s not below the debris field—guaranteed. This area of the south Indian Ocean is fraught with high winds, and strong and irregular currents that are unabated. Since mariners that have sailed this sea, they have dubbed it “The roaring 40’s.” The “40’s” relates to its southern forty-degree latitude. Oceanographers, meteorologists, and other scientist/technicians will use a host of data, some of which is apocryphal, and computer modeling to calculate a best estimate location of the aircraft on the sea floor—a backtracking analysis. We’ve seven days left before the black box’s battery expires. 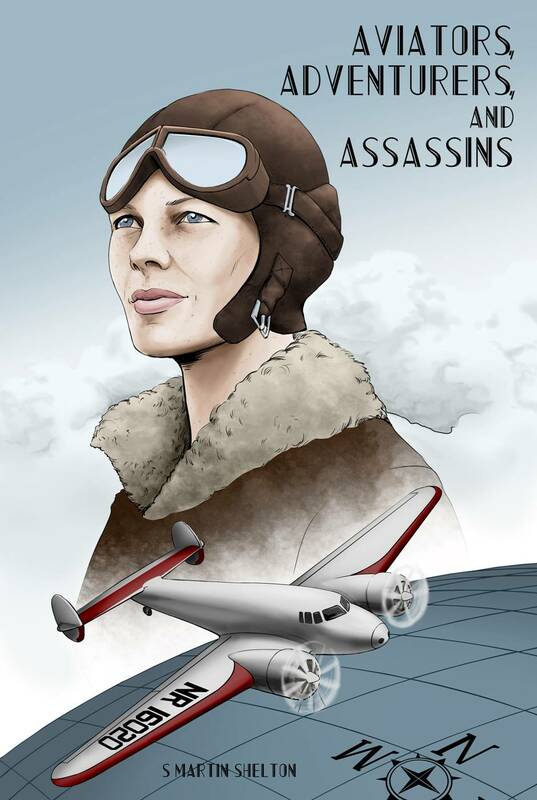 Retired Naval Captain, S. Martin Shelton, has tracked the disappearance of Amelia Earhart’s flight and written a story based upon the facts of the flight and aviator. Malaysian Flight # 370 Disappearance: What Happened to Flight 370? Let’s review the hard facts about the mysterious disappearance of Flight # 370. Malaysia Flight # 370 originated at Kuala Lumpur, Malaysia, and its destination was Beijing, People’s Republic of China—about 2,700 miles to the northeast. On board were 228 passenger and 11 crewmembers—239 souls. The First Officer is Farig Ab Hamid, 27 years old, and has about 2,700 flight-time hours. The Flight Engineer is Mohd Khairul Amri Selanat, 28 years old, and has about 10 years experience. Approximately 152 passengers were Chinese nationals. Citizens from 13 other countries were on board including two Americans. The aircraft used on Flight # 370 is a Boeing model 777-200 ER (Extended Range). This aircraft has twin Rolls Royce, model Trent 875, turbofan engines. Takeoff thrust for each engine is 73,900 pounds. This 777-200 ER’s normal cruising altitude is around 35,000 feet. The 777-200 ER’s cruising speed in around 630 miles per hour—about Mach 0.84. The Boeing model 777-200 ER had fuel on board for a seven-hour flight at normal procedures. Following is a chronological series of the peradventure scenario of the mysterious disappearance Flight # 370. I’ve based this list on best information I could decipher from the farrago of conflicting explanations scattered thought-out the media. 0041. Malaysian flight # 370 departed Kuala Lumpur, Malaysia at 41 minutes after midnight on 8 March 2014. 0101. Flight # 370 reaches cruising altitude of 35,000 feet and is near the east coast of Malaysia on a north-east (NE) heading—approximately a compass course of about 45 degrees. ?. The aircraft climbs to 45,000 feet—much higher that it is supposed to operate. ?. Shortly, the aircraft descends to 29,500 feet. 0130. Malaysian ground radar tracks flight # 370 for the last time. ?. Within the next few minutes, the aircraft makes a sharp left turn and was flying on a west-south-west (WSW) heading—about 240 degrees. 0137. Ground controllers did not receive a scheduled ACARS transmission. 0215. Ground control and radar lost track of Flight 370. Its location was about 200 miles west of its intended course—somewhere off Penang, Malaysia. About once an hour for seven hours, the Boeing 777 aircraft’s two Rolls Royce engines transmitted technical data signals to the British Immarst satellite. The Immarst satellite communications system does not have the capability to pinpoint the track of an aircraft transmitting this technical data. 0632. Kuala Lumpur air-traffic control transmits, on the emergency channel, a message to Flight # 370 to respond. It does not. 0724. Malaysia Airlines declares Flight # 370 missing. 0811. Last transmission the satellite received from Flight 370. The model 777 used on Flight 370 has the emergency Flight Data Recorder (FDR)–the “black box.” The FDR is an electronic device that records cockpit and air-traffic controller’s communications. It also records the aircraft’s performance data, and instructions to all electronic systems a few times per second. Data storage capacity is about 25 hours. It is installed in the aircraft’s tail and is designed stoutly to survive and function in either a water or land crash. Its battery power will transmit location signals underwater. It will function to its maximum depth of 20,000 feet (about four miles) for about 30 days. It’s painted bright orange for high visibility. 0840. The maximum flight time for Flight # 370—its petrol is exhausted. What happened to Flight 370? We do not know. Nonetheless, let’s review some of the theories. The following list is based on the data that I’ve gleaned from all manner of pundits on radio, television, and in print who spew endless speculations that range from “maybe” to “outlandish.” These purveyors maybe learned or ignorant about the basics of aviation physics, airline operations, or have access to secret intelligence. And, the data is changed frequently. Accordingly, we must adopt a “wait and see” belief. The first list has some credulity. Catastrophic event. An onboard fire, explosion, mechanical failure, etc. Slow decompression. The oxygen slowly seeps out of the aircraft. All aboard die of suffocation. Shoot down. By whom, with what, and for what reason? Pilot(s) involvement: suicide, revenge, insanity, or other unknown reasons. Highjacking. Terrorist/pirates/lunatic/secret agent/bandits/etc. Someone else in the cockpit by invitation. (That iron door to the cockpit is practically invulnerable.) Pilot(s) in cahoots with the “someone.” If so, who, why, and what happened? Crash or landed safely. Where? Is there valuable cargo on board? Highjacking. Blackguard passenger(s) take control of the passenger compartment and blackmail the pilots to accede to their demands (whatever they may be). If pilots refuse, the blackguards will/did murder passengers or destroy the aircraft somehow. Highjacking. The passengers overwhelm the highjackers and the aircraft crashes: à la the scenario of United Flight # 993 in the 9/11 Muslim terrorists attack on our country. The aircraft has landed in a secret location for future nefarious activities. It is hidden in an abandoned hanger or under camouflage. Here are a few cockamamie scenarios that stretch credulity that I’ve seen on television or heard on radio. Space aliens captured the aircraft: à la the 1977 motion picture titled Close Encounters of the Third Kind. An astronomical black hole engulfed Flight # 370: à la the 1979 Walt Disney motion picture titled The Black Hole. Flight # 370 disappeared in a Bermuda Triangle type space-time continuum: à la the 1978 motion picture titled The Bermuda Triangle. Some super-natural force sent Flight # 370 into a fifth dimension, or to another universe. Flight # 370 was transformed into some sort of zombie configuration. Or it was captured by airborne zombies? The Search. At first, authorities scoured the South China Sea (east of Malaysia). After confirmation that Flight # 370 changed to a westerly course, they moved the search to the Gulf of Thailand, Bay of Bengal, and then to the southern Indian Ocean. Twenty six nations are involved in the search: including, Malaysia, the USA, Australia, New Zealand, Singapore, China, Indonesia, Thailand, Vietnam, and the Philippines, for examples. Searchers are using a host of advanced technology, including satellite imagery, to locate the “black box,” aircraft debris, or the aircraft itself. Oceanographic and metrological data are integrated into the aircraft-location equations. Several days ago, I saw on television a US Naval public-affairs officer admit that the Navy is using classified techniques and equipment in their search. To demonstrate the extremes the television pundits will employ to fill airtime and to garner ratings, two days ago I saw a prominent television personality asking a female psychic for a paranormal explanation of the missing 777. Mostly, she babbled puerile gobbledygook for about four minutes. However, she made two points of interest: the 777 landed safely in Pakistan and the passengers are dead. Next week, I reckon we’ll have more information. If so, I’ll continue this evolving episode and will explore other airliner’s mysterious disappearances.